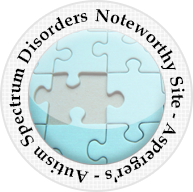 Asperger's Spectrum Disorder in the DSM-5: Why the Concealment? 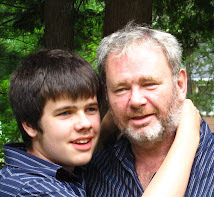 One of the great DSM-5 puzzles to this father of a severely autistic son is the use of the label Autism Spectrum Disorder to describe what appears to be little more than a tweaked version of the DSM-IV's Asperger's Disorder. The APA's DSM-5 team has replaced Autism with Aspergers, removed the most seriously intellectually disabled to the General Developmental Disorder category and further diluted the requirements for an autism diagnosis. Why not be open and transparent about the Aspergers substitution for Autism and the removal of the intellectually disabled from the Autism category? 1) Collapsing three requirements for an autistic disorder into two for the DSM-5's new "Autism" Spectrum Disorder. The two categories are the two main requirements for a DSM-IV Asperger's Disorder diagnosis: qualitative impairment in social interaction and restrictive, repetitive and stereotyped patterns of behavior, interests and activities. The spoken language deficits of the DSM-IV'S communication category are subsumed under social communication eliminating spoken language impairment in itself as a diagnostic feature of autism. 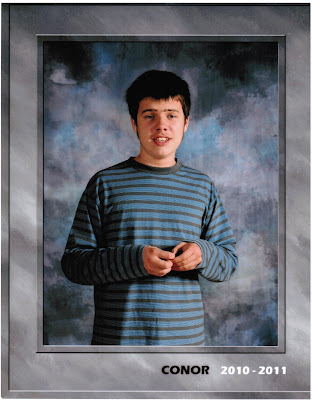 2) Precluding an Autism Spectrum Diagnosis for persons with Intellectual Disabilities. Mandatory Criterion A in the DSM-5's brave new Autism Spectrum Disorder which precludes an ASD diagnosis where accounted for by "general developmental delays" which is the DSM-5 diagnostic terminology for Intellectual Disability. Mandatory Criterion A's. 1) It will further impair "autism" research. The 1994 DSM-IV autism changes are still being used to explain dramatic increases in autism diagnoses. The 2013 DSM-5 changes could permanently impair our understanding of autism causes and increases. This will prevent any serious epidemiological based research into possible environmental causes including substances, air, drugs, diet and water supplies, vaccines and vaccine ingredients, affecting the pre-natal environment. 2) It could reduce public service costs for children with autism disorders by removing the most challenging cases of autism disorders: very low functioning intellectually disabled autistic children. The possible expansion on the other end of the Asperger's Spectrum may offset this reduction or may be affected by more serious emphasis on impairment of daily functioning levels in the DSM-5 era. 3) Legitimization of claims by very high functioning persons with current autism disorder and Asperger's diagnoses to speak on behalf of those most severely affected by autism. The Neurodiversity movement is based for the most part on persons from this group and tends to be very supportive of efforts to resist any serious environmental focused autism research including vaccine autism research. The DSM-5 debates currently raging, spearheaded by Dr. Allen Frances, will have no impact on the Asperger's (Autism) Spectrum Disorder category in the DSM-5. It is a fait accompli. Current autism research tends to exclude, for matters of convenience of the researchers involved, use of severely autistic study participants. 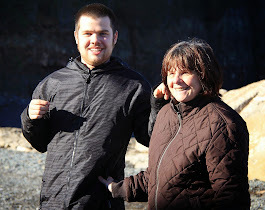 The mainstream media reports serious tragic incidents involving the severely autistic but its features invariably focus on high functioning autistic\Asperger's\savant success stories. When looking at challenges the mainstream media tends at most to look at the social awkwardness of those with HFA\Asperger's. The recent Amy Harmon NYT "navigating love" feature is the perfect example of this aspect of MSM representation of autism. 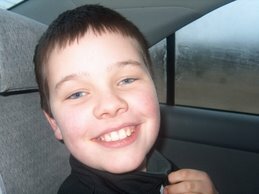 Asperger's Spectrum Disorder is already with us; having unofficially taken over the Autism label. Why the APA feels the need to officially hide that fact in the DSM-5 is puzzling. Like so many autism experts and professionals the FOX experts are concerned about high functioning autistic persons but not about low functioning autistic persons who remain the invisible autistics abandoned by health care professionals and the mainstream media alike. Vaccines and Pregnancy: Lack of randomized, placebo-controlled trials and ... means ...? My children have received their recommended vaccinations. I have had some although I am old enough that I received my measles and mumps shots the old fashioned way ... I had bad cases of both mumps and measles as a child. 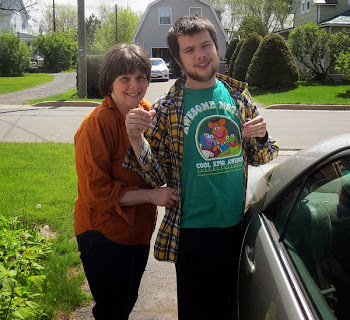 I have not ... as yet ... attributed my son's autistic disorder to any injections he received, or that his mother received while carrying him, although I keep an open mind on the subject. I refuse to simply accept either camp's dogmatic conclusions. I believe that the public health authorities have shot themselves, no pun intended, in the foot with their dogmatic assertions that vaccines have "debunked" any vaccine autism connection and with their condescending, and at times pejorative and nasty, dismissal of parental observation, also known as direct, first hand observation, of changes in their children's conditions immediately following vaccinations. As one who has advocated strenuously for evidence based ABA treatment for autistic children I marvel at the ease with which some in the health sciences still do not accept ABA as an effective autism intervention after decades and hundreds of studies yet turn around and claim that a couple of dozen studies debunk all possible vaccine and vaccine ingredients even those given to pregnant women as possible causes or triggers of autism disorders. I am amazed that some of the same people who claim that we can not know whether autism increases are real because of changed diagnostic definitions and social factors turn around and claim that epidemiological studies which fail to find a vaccine autism connection in some circumstances proves for all time that all possible vaccine autism connections have been dis-proven while ignoring for those purposes the changed diagnostic definitions and social awareness factors that complicated drawing safe conclusions. Authors: Makris, Marinos C.; Polyzos, Konstantinos A.; Mavros, Michael N.; Athanasiou, Stavros; Rafailidis, Petros I.; Falagas, Matthew E.
Immunization during pregnancy has the potential to protect the mother and the newborn from preventable diseases. Current recommendations suggest that inactivated vaccines might be considered during pregnancy when the benefits outweigh the risks. The bold highlighted text states clearly that, at least for the vaccines listed in the study report title safe conclusions could not be drawn about the safety of those vaccines when given to pregnant women ... because of the lack of randomized, placebo-controlled trials, or even large cohort studies, in addition to the inherent limitations of the reviewed observational studies with small statistical power. You wouldn't know it from reading NY Times columnist Amy Harmon, or from reading the NYT generally, but 70% of persons with Autistic Disorder suffer from intellectual disability. Approximately 30% of persons with Autistic disorder also suffer from epilepsy. There are regular reports, in non NYT papers anyways, about autistic children and adults going missing, sometimes never to safely return. Self injury is a serious problem for many. For many others lives spent in institutional care is the reality they endure or face in the near future. 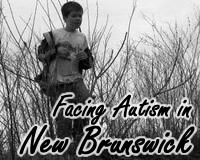 As an autism advocate in New Brunswick Canada I have seen these realities for myself. But I am not a columnist for the New York Times which has never had a good record on dealing straight up and honestly with autism disorders. As with the current series run by Amy Harmon (1, 2) the New York Times prefers to report on and portray autism as high functioning autism and Aspergers. They prefer stories about autistic artists and John Elder Robison's son Jack and his difficulties with personal intimacy, difficulties faced by most adolescents, whether they are autistic, or whether they are neurotypical, to use the Neurodiversity terminology that dominates NYT autism articles. Amy Harmon and the NYT discriminate by omission against the original, severely autistic "autistics". They like their autism sweet, fluffy and lite. No severe autism reality at the NYT thank you. brings joy to Mom and Dad in the Christmas season and throughout the Year. My 2011 Christmas wish is that Autism's vast majority, the 70-80% with autistic disorder and intellectual disabilities, will lose their status as autism's invisible autistics. It is a wish that will grow farther from fulfillment as the American Psychiatric Association stands poised to obliterate the original autistics and replace them in the DSM5 with its Aspergers Spectrum Disorder hidden under the label Autism Spectrum Disorder. 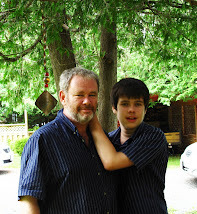 It is a big wish and one which will not be easily fulfilled but I will continue to do my best as the father of an autistic 16 year old son with intellectual disabilities and behavioral challenges to fulfill that wish. The world knows very well the high functioning adults with autism disorders, some of whom were only diagnosed with "autism" disorders as adults, some of whom have an Asperger's diagnosis, some of whom relish their autism label but object to being characterized as having a mental disorder or ever a medical disorder. The barely autistics are studied with fMRI scans, they are featured in fashion spreads in New York magazines, they are given seats in important government organizations like the IACC, and important autism charities like Autism Speaks, they presume the right to speak on behalf of the severely autistic, the vast majority with intellectual disabilities who will live their lives dependent on the care of others, many in institutional facilities with no significant continuing education or recreational opportunities. I wish Autism's Vast Majority of Invisible Autistics the right to be seen, the right to have their existence acknowledged, without shame, without prejudice and without those who do not know them or their challenges speaking on their behalf. 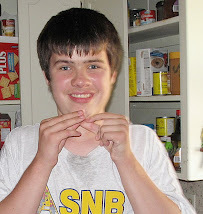 This Christmas season I wish my son Conor and all other invisible members of Autism's vast majority happy, healthy lives. Following is the press release I received setting out what Autism Speaks considers to be the top 10 autism research achievements of 2011. Personally I do not think every one of these projects should be on a list of top 10 autism research achievements but this is the Autism Speaks list and I reprint it in its entirety here without any editing by this humble autism dad. I have added some bold highlighting to emphasize what I feel is truly the most significant achievement the California Autism Twins Study (CATS) ... a large study providing further confirmation that autism causation results from gene environment interaction. As the Autism Speaks press release indicates the CATS study is a game changer in our common understanding of what causes autism. This study has further hastened the demise of the "it's gotta be genetic" mindset, the belief that autism is an entirely genetic disorder, that has dominated public understanding of autism causes, dominated autism research funding and hindered discovery of environmental, particularly prenatal environmental triggers of autism disorders. The "it's gotta be genetic" mindset will still live on in the largely autism ignorant, advertising revenue dependent, major mainstream media institutions in LA, New York and Toronto but in the informed autism world it is being replaced by the gene environment autism research paradigm. NEW YORK, N.Y. (December 20, 2011­) – Autism Speaks, the world's largest autism science and advocacy organization, has released its annual list of the 10 most significant science achievements to have impacted autism during the previous year. Every year, Autism Speaks documents the progress made toward its mission to discover the causes and treatment for autism spectrum disorders (ASD), and identifies the Top 10 autism Research Achievements of the year. Autism Speaks’ Top Ten list includes discoveries on how frequently autism recurs in families and the extent to which “environmental,” or non-genetic, influences, increase the risk of autism in those who are genetically predisposed to this developmental disorder. 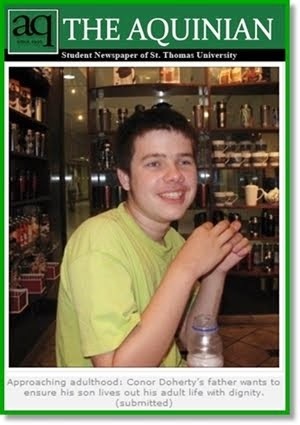 These important results continue to shape the future of autism research for 2012 and beyond. The 2011 list reflects the exponential rate of discovery in autism research, supported by the joint commitment of government health agencies and private organizations such as Autism Speaks in supporting this vital work. This year’s highlights also reflect discoveries which advance translational research – the science of designing drugs to address core symptoms of autism. Research in 2011 also delivered evidence that may yield immediate benefits, that adequate folic acid around the time of conception may lower autism risk, and the validation of a method for screening at one year that may enable earlier intervention to improve children’s outcomes. An international study from South Korea not only found a much higher prevalence of ASD in schoolchildren by using a community screening method – 1 in 38 – – but provides evidence that community screening elsewhere may yield much higher prevalence rates than would be found in standard surveys of medical records. For years, scientists have been following twins to help determine the contributions of genetic and non-genetic factors in the development of autism. But until this year, only three small autism twin studies, with just 66 twin pairs total, had been completed. Together they suggested that autism’s development stemmed almost entirely from inherited genes. When one identical twin developed an autism spectrum disorder (ASD), these studies suggested, the chances were 9 out of 10 that the other twin would do so as well. Identical twins (who arise from the same fertilized egg) share 100 percent of their genes. By contrast, the studies found little or no autism overlap, or “concordance,” between fraternal twins. Fraternal twins arise from different eggs fertilized at the same time and, as a consequence, share about 50 percent of their genes. Then came the game changer: In July we learned the results of the largest study to directly assess twins with autism (192 twin pairs). It revealed a significantly lower autism concordance between identical twins – just 70 percent. Even more surprising, the researchers discovered a much higher than expected overlap between fraternal twins – around 35 percent. That’s considerably more than the overlap seen among different-age siblings, which numerous studies have shown to be lower than 15 percent. The conclusion: In the presence of an underlying genetic predisposition, the environment shared by twins – but not different age siblings – appears to significantly affect the risk that a baby will develop autism. In particular, this suggests that autism’s non-genetic, or “environmental,” risk factors involve the environment of the womb – from conception through birth. Further research is needed to pinpoint the nature of these influences and how they affect early brain development. The large sample size of the study, led by Joachim Hallmayer, M.D., of Stanford University School of Medicine, was made possible by Autism Speaks Autism Genetic Resource Exchange (AGRE) and its volunteer families. The study was also co-funded by Autism Speaks and the National Institute of Mental Health. Hallmayer J, Cleveland S, Torres A, et al. Genetic heritability and shared environmental factors among twin pairs with autism. Arch Gen Psychiatry. 2011;68(11):1095-102 [Jul 4 Epub ahead of print]. A South Korean study that directly screened schoolchildren for autism spectrum disorder (ASD) revealed a prevalence of 1 in 38 children, or 2.6 percent. Two-thirds of the affected children were in mainstream classrooms, previously undiagnosed and receiving no services. The finding, published in the American Journal of Psychiatry, raises the possibility that the current CDC estimate of autism prevalence in the United States (1 in 110 children, or about 1 percent) may be a considerable underestimate. The U.S. estimate is based on reviews of medical records, rather than the Korean study’s method of direct screening and case confirmation of children in the general community. The South Korean study covered a wide-ranging population and used gold standard screening and diagnostic tools. Led by Young Shin Kim, M.D., Ph.D., of Yale School of Medicine, it was the first to attempt a rigorous estimate of autism prevalence in the general South Korean population and among the first such prevalence survey outside North America and Europe. It included about 55,000 schoolchildren between the ages of 7 and 12 living in a residential community near the capital city of Seoul. The researchers first screened for autism using parent and teacher questionnaires, then used standardized diagnostic methods to evaluate the children who screened positive. The findings stress the need for improved and wider autism screening among the general population, the researchers concluded, especially among younger age groups, as early diagnosis and intervention have been shown to improve outcomes. Goyang City, where the study was conducted, now offers autism assessment and intervention services for all children entering first grade. The study was funded in part by Autism Speaks, which is now working with the CDC to implement a study of community screening in the United States. Even at the current estimate of ASD affecting 1 in 110 US children, more children will be diagnosed with autism in the coming year than with childhood cancer, juvenile diabetes and pediatric AIDS combined. Kim YS, Leventhal BL, Koh YJ, et al. Prevalence of autism spectrum disorders in a total population sample. Am J Psychiatry. 2011 Sep;168(9):904-12. Many parents of children with autism want to know the likelihood of having another child on the spectrum. Knowing that younger siblings are at high risk can promote earlier screening, diagnosis and therapy, which may improve outcomes. This year brought clearer guidance with the largest study of infants with one or more older siblings on the autism spectrum. It found that these younger siblings have close to a 1 in 5 chance (20 percent) of developing an autism spectrum disorder (ASD). This is considerably higher than previous estimates of 3 percent to 10 percent, based on much smaller studies that used various methods of ASD diagnosis. The researchers also found a higher rate of autism among baby brothers (about 1 in 4, or 25 percent) than among baby sisters (about 1 in 9, or 11 percent). For infants with more than one sibling on the autism spectrum, the risk of developing ASD was even higher – about 1 in 3. The study, led by Sally Ozonoff, Ph.D., University of California, Davis, MIND Institute, assessed 664 infants, all of whom had at least one older sibling with a verified diagnosis of ASD. They didnot find a link between autism risk and the severity of symptoms in the older sibling. Nor did they find an effect on risk from other family characteristics such as parental age or education, ethnicity or birth order, or an older sibling’s gender or IQ. The researchers enrolled infants very early (two-thirds of them before 6 months) before symptoms of autism become obvious. The clinicians then followed the babies through 36 months of age. They used gold standard diagnostic methods and comprehensive assessments performed by expert clinicians. The findings highlight the need for close monitoring and screening of infants with an older sibling on the autism spectrum, Ozonoff says. Identifying early signs of autism can help clinicians and families take advantage of intervention strategies that can improve outcomes. The study’s researchers are members of Autism Speaks Baby Siblings Research Consortium, an international network that coordinates studies and pools data from affected families in 21 sites in the U.S., Canada, Israel and the UK. Autism Speaks also funded the study’s cross-site analyses through a grant to co-author Gregory S. Young Ph.D., also of the University of California, Davis. This year, four separate studies shed new light and confirmed earlier findings that in some – perhaps many – cases, genetic mutations associated with autism arise in an egg or sperm or very early in embryonic development. As such, they are not present in the genetic makeup of either parent. Together, the four studies identify hundreds of places in the human genome where spontaneous, or “de novo,” mutations could increase the risk of ASD, possibly by altering early brain development. Though rare, de novo mutations may contribute to the development of autism in a substantial number of families with just one child on the spectrum, the researchers agreed. Some went further, noting that de novo mutations might explain why advanced parental age at the time of conception appears to increase the risk that a child will develop an autism spectrum disorder (ASD). Other studies have suggested that de novo genetic mutations in eggs and sperm become more common with age. In addition to emphasizing the diversity of genetic contributions to ASD, these studies set the groundwork for finding new candidate genes and gene networks and for the potential development of treatments specific to certain subtypes of autism. In years past, most autism gene research focused on inherited mutations – present in one or both parents. Increasingly, however, researchers are looking at de novo variations in genes involved in the formation and function of brain cell networks. The four new studies strongly suggest that this new focus is the right direction and offer further clues on the particular areas of the genome that should be targeted by future investigation. The findings were made possible, in part, by technological advances that enabled a shift from looking at large mutations to very small DNA changes. The three largest studies, published simultaneously in the journal Neuron, analyzed DNA samples from children and parents in the Simons Simplex Collection, a newly assembled repository of over 1,000 U.S. and Canadian families with only one child on the autism spectrum. Using DNA chip, or microarray, technology, the researchers scanned for genetic mutations known as copy number variants (CNVs). CNVs can range from tiny deletions in the genetic code to extra copies of a large DNA sequence. Among other findings, their results confirmed previous smaller studies that found higher rates of spontaneous CNVs in children with ASD than in their non-affected siblings. The researchers also found that many of these non-inherited mutations affect genes or gene networks involved in brain development and have been implicated in past studies of autism and other mental disorders. For example, they found a strong link between autism and CNVs in a region of the genome associated with Williams-Beuren syndrome, a developmental disorder marked by extreme sociability. While people with Williams-Buren syndrome are missing copies of DNA in this region, some people with autism have extra copies. Overall, the researchers estimate there may be several hundred locations on the human genome where de novo mutations could increase the risk of ASD, further highlighting the complexity and variety of autism’s causes. 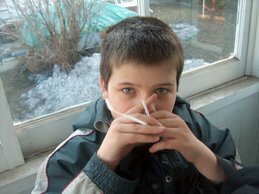 The fourth study looked for spontaneous mutations in 20 people with autism. This study likewise used DNA from the Simons Simplex Collection, but rather than test broadly for CNVs, the researchers used a genetic sequencing technology that targets only the protein-coding parts of the genome. The researchers found four spontaneous gene mutations that likely play a causal role in the development of autism. The researchers also noted that the four participants who carried these genetic mutations had particularly severe core symptoms of autism – suggesting that these particular genes warrant further investigation and may be associated with promising treatment targets. Together, the four studies are the first set of experiments to offer a detailed genetic analysis of the Simons Simplex Collection, one of the largest databases focusing on families with only one child on the autism spectrum. 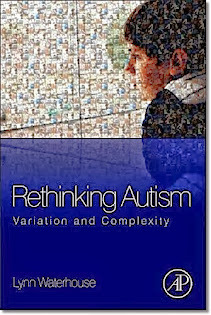 This collection uniquely complements other large autism databases such as Autism Speaks’ Autism Genetic Resource Exchange (AGRE), which focuses on families with more than one child on the spectrum. Gilman SR, Iossifov I, Levy D, et al. Rare de novo variants associated with autism implicate a large functional network of genes involved in formation and function of synapses. Neuron. 2011 Jun 9;70(5):898-907. Levy D, Ronemus M, Yamrom B, et al. Rare de novo and transmitted copy-number variation in autistic spectrum disorders. Neuron. 2011 Jun 9;70(5):886-97. Sanders SJ, Ercan-Sencicek AG, Hus V, et al. Multiple recurrent de novo CNVs, including duplications of the 7q11.23 Williams syndrome region, are strongly associated with autism. Neuron. June 9, 2011;70(5):863-85. As its name suggests, autism spectrum disorder (ASD) is known for its broad range, or spectrum, of outcomes – from profoundly disabled to highly but “differently” functional. Recent years have likewise revealed a diversity of genes that predispose to the development of ASD. But this year, scientists discovered a remarkable consistency in the molecular changes occurring in the brains of those with ASD, across a range of autism subtypes. The study found two interconnected gene networks abnormally expressed in the brains of affected persons. The results suggest that diverse types of autism may share a similar biological basis. Published in Nature, the study analyzed postmortem brain tissue donated to Autism Speaks Autism Tissue Program and was led by neurologist-geneticist Daniel Geschwind, M.D., Ph.D., of the University of California, Los Angeles, and Irina Voineagu, now at the Riken Brain Science Institute in Japan. The team discovered that, within brains affected by autism, genes involved in cell function tended to be expressed at abnormally low levels, while genes associated with the generation of certain immune cells were expressed at higher than normal levels. Many of these genes are first turned on during embryonic development, they noted, suggesting that the abnormal development of brains affected by autism may begin very early. In addition, the researchers looked closely at gene expression in the frontal cortex, the part of the brain that controls higher-level thinking, and in the temporal cortex, which controls sensory integration. In brains not affected by autism, the researchers found stark difference in gene expression between the two regions – as would be expected by their different functions. By contrast, these differences in frontal versus temporal lobe gene expression all but disappeared in those affected by autism. The results suggest a blurring of key differences during prenatal brain development. Such findings offer clues to both the causes of autism and guidance for developing medicines that might target autism’s disabling symptoms. Voineagu I, Wang X, Johnston P, et al. Transcriptomic analysis of autistic brain reveals convergent molecular pathology. Nature. 2011 May 25;474(7351):380-4. This year brought evidence that taking prenatal vitamins during the months before and after conception may lower the risk of having a child with autism spectrum disorder (ASD) – at least if the mother or child carries certain genes that increase susceptibility to autism. The study appeared in the July issue of the journal Epidemiology. The findings are the first to suggest a practical step women can take to reduce the risk of autism in their children. However, the results were based on interviews with fewer than 500 women and, so, need to be confirmed by the outcome of a larger study. The study, led by Rebecca J. Schmidt, Ph.D., at University of California, Davis, is part of the larger CHARGE (Childhood Autism Risks from Genetics and the Environment) project, which continues to enroll families – both those affected by autism and those that are not. The aim of the project is to increase understanding of the causes and contributing factors that lead to ASD. Schmidt and her colleagues based their findings on 288 children with autism and 278 children without autism, all between ages 2 to 5. After confirming autism diagnoses, they interviewed the mothers about their vitamin intake (prenatal vitamins, multivitamins, other supplements and fortified cereals) before conception, during pregnancy and while breast-feeding. The mothers who took prenatal vitamins the three months before conception and at least one month after conception were, on average, about half as likely to have a child with autism compared to mothers who did not take prenatal vitamins during this period. Taking standard multivitamins or eating vitamin-fortified cereals did not affect autism risk. Prenatal vitamins typically contain more iron, folic acid and other B vitamins than do standard multivitamins. For years, physicians have encouraged women to take prenatal vitamins with folic acid because its use during early pregnancy reduces the risk that a baby will be born with neural tube defects, another disorder of brain development. The researchers also analyzed DNA of the mothers and children. Women who had either one of two gene variants associated with folate regulation had double to five times the risk of having a child with autism – but only if the mother did not take prenatal vitamins around the time of conception. Children who had one of these gene variants had seven times the normal risk of developing autism if the mother did not take prenatal vitamins around conception, but just two times the normal risk if she did take them. A deeper understanding of these gene-environment interactions may lead to improved methods for the prevention and/or treatment of autism, the researchers note. They also call for more research on the effect of other aspects of maternal nutrition and other potential environmental risk factors on crucial periods of prenatal brain development. The ongoing CHARGE study receives funding from the National Institute of Environmental Health Sciences, the U.S. Environmental Protection Agency, UC-Davis’s MIND Institute and Autism Speaks. Schmidt RJ, Hansen RL, Hartiala J, et al. Prenatal vitamins, one-carbon metabolism gene variants, and risk for autism. Epidemiology. July 2011;22(4):476-85. This September, scientists at University of California, Los Angeles debuted a new mouse that may represent a more useful animal model for studying autism spectrum disorder (ASD) and testing potential treatments. The mouse shows more behavioral and biological similarities to people with ASD than do most previous mouse models. It also responds to a drug (risperidone) already approved for treating some symptoms of ASD. This suggests that the mice may be particularly suited for testing promising new medicines aimed at relieving autism’s most disabling symptoms. The strain, first created in 2003, lacks a gene dubbed CNTNAP2, or “cat nap two.” The gene plays a role in brain development. In people, rare inherited mutations in CNTNAP2 can cause a genetic syndrome known as cortical dysplasia-focal epilepsy, whose symptoms can include seizures, loss of language and hyperactivity. Nearly two-thirds of those affected by this rare disorder are also diagnosed with ASD. Daniel Geschwind, M.D., Ph.D., and colleagues at UCLA crossed this mouse strain with another known for its easily observed repertoire of behaviors. He then tested the new hybrids for autism-like traits. For years, scientists have been genetically engineering mouse models of autism by deleting, or “knocking out,” the mouse versions of genes associated with autism in humans. While most previous mouse models showed only one or two core symptoms of autism, the new cat-nap model shows all three: hampered communication difficulties, social challenges and repetitive behaviors. The mice groom themselves excessively, have difficulty adapting to new situations and also vocalize and play less than do typical mice. In addition, brain studies reveal that the mice exhibit atypical patterns of brain activity and connectivity that are similar to those seen in many people with ASD. As mentioned, the researchers gave their knockout mice risperidone. The drug is FDA approved to treat ASD-associated “irritability,” which can be accompanied by self-injury, tantrums and aggression. In the mice, the drug significantly reduced repetitive behaviors. Penagarikano O, Abrahams BS,Herman EI, et al. Absence of CNTNAP2 Leads to Epilepsy, Neuronal Migration Abnormalities, and Core Autism-Related Deficits Cell. 2011 Sept 30 ;147:235–46. Researchers altered the social behavior of mice by using light to manipulate electrical activity in a brain region involved in learning and socializing. The study, published this fall in Nature, bolsters the theory that autism may stem from an imbalance in the natural signals that excite or dampen activity within the brain. The study also offers a new approach to creating animal models of autism – crucial for testing promising medicines that might relieve disabling symptoms. Using a technique he pioneered and dubbed “optogenetics,” Stanford University psychiatrist Karl Deisseroth, M.D., Ph.D., and his colleagues engineered mice to produce light-sensitive proteins in the prefrontal cortex – a region involved in learning and social behavior. In a typical brain, some cells send signals that excite brain activity while other cells send signals that quiet it. In the optogenetic mice, excitatory brain cells respond to blue light and inhibitory brain cells respond to yellow light. As a result, the researchers could dial up or dial down the level of activity in a mouse’s prefrontal cortex with pulses of light sent through a fiber optic cable implanted in its brain. The light’s effect lasted up to a half hour, enabling the researchers to remove the visible portion of the fiber optic implant and observe how the mice interacted with new mice or objects placed in their enclosures. When the mice were exposed to blue light alone, they abruptly lost interest in socializing with new mice. By contrast, typical mice readily approach and sniff newcomers. However, the blue-light stimulated mice did not display other deficits such as difficulty adjusting to new objects placed in their cages. When both excitatory and inhibitory cells were turned on simultaneously (by exposure to blue andyellow light), the mice resumed typical social behaviors. The findings support a theory that autism stems from a dysregulation of normal brain signaling. 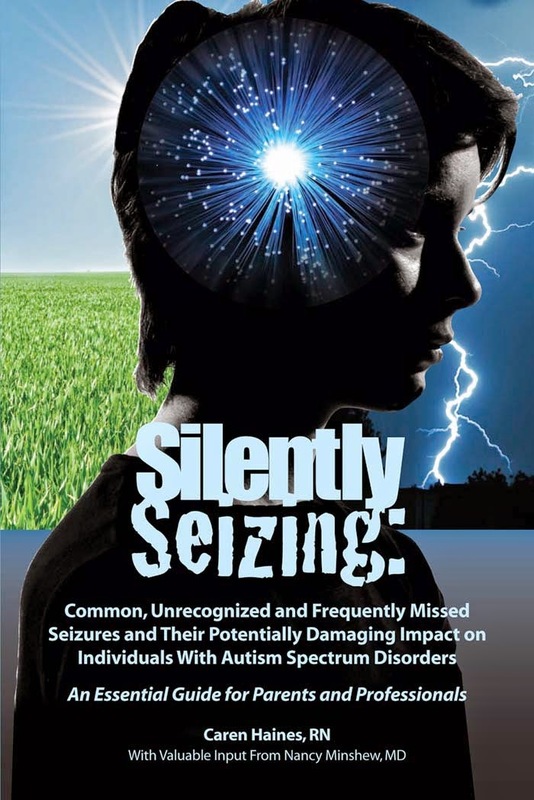 Other evidence supporting this idea includes the fact that about one-third of those with autism also suffer seizures, a result of excessive electrical activity in the brain. In addition, several of the altered genes associated with autism play a role in brain signaling. Also, brain imaging studies reveal that some people affected by autism show higher than normal activity in brain regions associated with social behavior. This latest experimental evidence further suggests that restoring balance to brain activity may be a way to relieve some of autism’s core symptoms. It also provides groundwork for future research investigating the role that specific brain circuits play in autism. Deisseroth and his colleagues are already developing new mouse models that will allow scientists to manipulate the activity of other brain regions and circuits, promising a more precise picture of how brain signaling problems might give rise to autism’s core symptoms. Yizhar O, Fenno LE, Prigge M, et al. Neocortical excitation/inhibition balance in information processing and social dysfunction. Nature. 2011 Jul 27;477(7363):171-8. In January, researchers at the University of California, Davis, reported evidence that many children with autism spectrum disorder (ASD) have signs of ongoing inflammation. They found levels of inflammatory markers called cytokines to be higher in children with autism than in those who did not have the disorder. Further analysis showed that the increased levels of cytokines occurred primarily in children who had a regressive form of autism. Regression refers to a loss of developmental skills such as language and sociability after a period of seemingly normal early development. In addition, the investigators found that impairment associated with autism increased with elevated cytokine levels. The findings suggest that ongoing inflammation may be linked to some forms of autism and autism-linked disabilities. The researchers called for more study on the implications for diagnosis and treatment of autism’s core symptoms. The research team, led by immunologist Paul Ashwood, Ph.D., analyzed cytokine levels in blood samples from 223 children ages 2 to 5. Of these, 97 had a confirmed ASD diagnosis, 39 had developmental disorders other than autism, and 87 were typically developing children. Using blood samples, the researchers measured levels of twelve different cytokines – immune-signaling molecules associated with inflammation. Levels of four of the twelve were significantly higher for children with autism than for children with typical development. Cytokine levels were generally highest in children with regressive forms of autism compared to those with non-regressive forms. The researchers considered a child’s autism “non-regressive” if that child had shown signs of autism from infancy. Past studies have likewise found evidence that immune system abnormalities are more common in children with ASD than in typically developing children. This study is the largest to date looking specifically at levels of cytokines, which may influence brain development and behavior. Further research is needed to confirm these findings and explain the association between these inflammatory markers and autism. It is unclear, for example, whether inflammation produces or worsens core symptoms or whether both inflammation and autism stem from a common biological issue. The research was funded in part by a grant from Autism Speaks. Ashwood P, Krakowiak P, Hertz-Picciotto I, et al. Elevated plasma cytokines in autism spectrum disorders provide evidence of immune dysfunction and are associated with impaired behavioral outcome. Brain, Behavior, and Immunology. 2011;25(1):40-5. Early detection of autism allows for early intervention with behavior therapies that can improve outcomes. Current American Academy of Pediatrics guidelines call for screening all toddlers at 18 and 24 months, the age at which existing screening methods are best able to identify children with autism. Physicians have lacked validated autism screens for younger children – until now. This year, research demonstrated that a brief parent questionnaire, administered at a baby’s one-year well-baby check-up, can help pediatricians identify babies who have autism or are at high risk of developing it. In all nearly 10,500 children were screened, and 346 were flagged as at risk for autism and referred to an autism clinic for further evaluation. Of these, about half were followed to 3 years, 32 of them receiving a diagnosis of autism spectrum disorder (ASD). Another 56 were diagnosed with language delay, 9 with developmental delay, and 36 with other diagnoses. The screen was able to accurately predict autism or other developmental delays about 75 percent of the time. This suggests that the questionnaire or a similar screen may be useful for earlier identification of ASD and other developmental delays that would benefit from early intervention. The study, led by Karen Pierce, Ph.D., of the University of California-San Diego School of Medicine, also highlighted the ease of putting an early infant screening program into practice. At the time of the study’s publication, all of the 137 pediatricians who had participated in the project said they were still using the screening tool at one-year well-baby checkups. Prior to their participation in the study, only 30 of the pediatricians (22 percent) had routinely screened for autism at one year. Pierce K, Carter C, Weinfeld M, et al. Detecting, Studying, and Treating Autism Early: The One-Year Well-Baby Check-Up Approach. J Pediatr. September 2011;159(3):458-465. Autism Speaks is the world’s largest autism science and advocacy organization. Since its inception in 2005, Autism Speaks has made enormous strides, committing over $160 million to research and developing innovative resources for families. The organization is dedicated to funding research into the causes, prevention, treatments and a cure for autism; increasing awareness of autism spectrum disorders; and advocating for the needs of individuals with autism and their families. In addition to funding research, Autism Speaks has created resources and programs including the Autism Speaks Autism Treatment Network, Autism Speaks’ Autism Genetic Resource Exchange and several other scientific and clinical programs. Notable awareness initiatives include the establishment of the annual United Nations-sanctioned World Autism Awareness Day on April 2, which Autism Speaks celebrates through its Light it Up Blue initiative. Also, Autism Speaks award-winning “Learn the Signs” campaign with the Ad Council has received over $300 million in donated media. Autism Speaks’ family resources include the Autism Video Glossary, a 100 Day Kit for newly-diagnosed families, a School Community Tool Kit, a Grandparent’s Guide to Autism, and a community grant program. Autism Speaks has played a critical role in securing federal legislation to advance the government’s response to autism, and has successfully advocated for insurance reform to cover behavioral treatments in 29 states thus far, with bills pending in an additional 10 states. Each year Walk Now for Autism Speaks events are held in more than 80 cities across North America. To learn more about Autism Speaks, please visit www.autismspeaks.org. 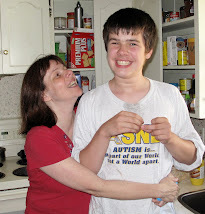 Autism Speaks was founded in February 2005 by Suzanne and Bob Wright, the grandparents of a child with autism. Bob Wright is Senior Advisor at Lee Equity Partners and Chairman and CEO of the Palm Beach Civic Association. He served as Vice Chairman of General Electric; and as the Chief Executive Officer of NBC and NBC Universal for more than twenty years. He also serves on the board of directors of the Polo Ralph Lauren Corporation, Mission Product, EMI Group Global Ltd., and AMC Networks Inc., and is a Trustee of the New York Presbyterian hospital. Suzanne Wright is a Trustee Emeritus of Sarah Lawrence College, her alma mater. 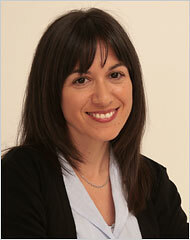 Suzanne has received numerous awards, the Women of Distinction Award from Palm Beach Atlantic University, the CHILD Magazine Children’s Champions Award, Luella Bennack Volunteer Award, Spirit of Achievement award by the Albert Einstein College of Medicine's National Women’s Division and The Women of Vision Award from the Weizmann Institute of Science. 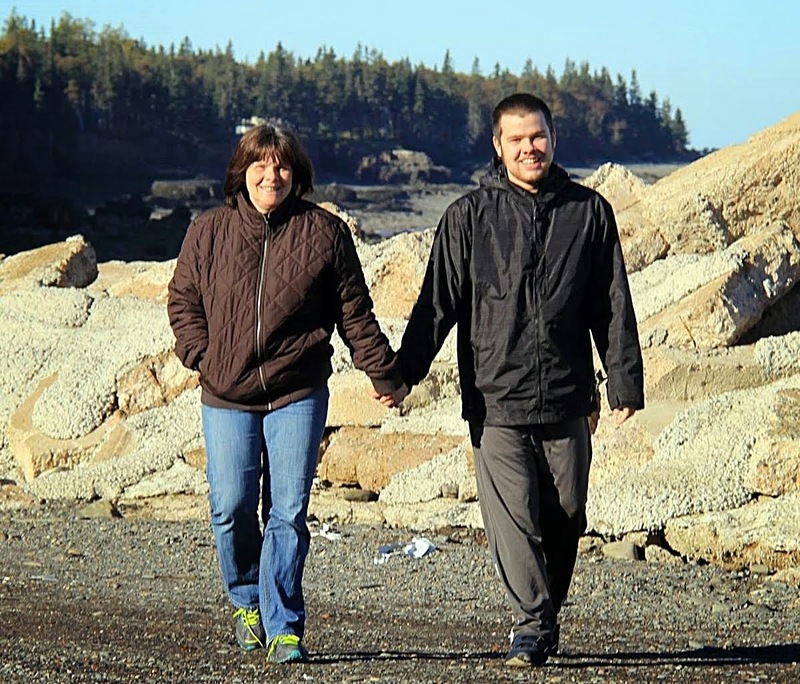 In 2008, the Wrights were named to the Time 100 Heroes and Pioneers category, a list of the most influential people in the world, for their commitment to global autism advocacy. They have also received the first ever Double Helix Award for Corporate Leadership from Cold Spring Harbor Laboratory, the NYU Child Advocacy Award, the Castle Connolly National Health Leadership Award and the American Ireland Fund Humanitarian Award. In the past couple of years the Wrights have received honorary doctorate degrees from St. John’s University, St. Joseph’s University and UMass Medical School.